ALL OF OUR BOOKS AND SOME O F T H E O T H E R T H I N G S T H AT WE LOVE. New Heroes & Pioneers constantly strives to curate and create the best in extraordinary culture. We publish a variety of art and coffee table books with a focus on photography, lifestyle and design. NHP has had, and continues to have, the pleasure of working with some very inspirational and extremely talented people from our native Scandinavia and from around the globe. 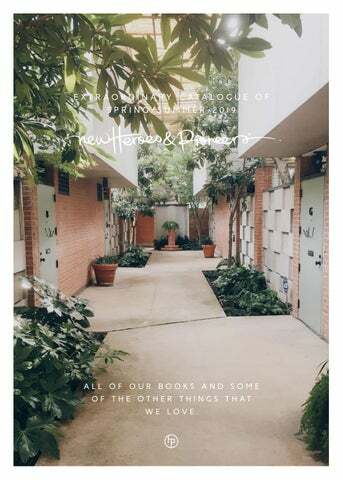 What made the concept of our publishing house unique was that, right from the start, NHP provided a platform and vehicle for discovering and promoting new and unknown artists. This is a key factor to our company’s ethos, and something that is evidenced by showcasing the work of new and rising talent from across the world. So whether this is delving into the culinary lifestyles and cultural heritages of Europe; compiling photography guides of our favourite cities; or examining design trends in North America – we have it covered. 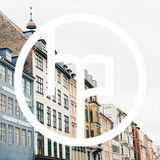 Based in Malmö, Sweden, we are a collaboration of enthusiastic people from the world of publishing, editing, photography, graphic design and creative direction. We all share a universal passion for producing books that are consistently rich in content and full of smart and interesting ideas. Photographer Marta Bevacqua represents women in different ways, playing with light, expressions, movement and props. In her first book, we see a collection of Marta’s work providing a visual narrative for these women. Each woman has a story to tell, and the photographer tries to convey this story through her lens It’s not an ordinary story, it’s something about beauty, fantasy, dreams and imaginary stories, ready to be interpreted by the reader. The choice of the models is fundamental and each character is carefully captured by the photographer, as she explores different beauties. No superhero is a series of work by the acclaimed Scandinavian artist, Ole Marius Jorgensen. The work features meticulously staged, cinematic photographs that depict seemingly ordinary situations which are then infused with a juxtaposed narrative. This unlocks an unexpected and unique world that feels both old and new. Full of mystique and intrigue and set in the artistâ&#x20AC;&#x2122;s native, rural Scandinavia, this series of images follows the protagonist on a silent, solitary journey that emphasises complex emotions. From the playful, to the dark, to the eccentric, each scene is depicted through a lens that captures childhood nostalgia with the hero as an ordinary man. This book presents a selection of works from Valentina Loffredo’s first and ongoing series “As for me, I’m very little”. The photography plays on the tension between perfectly staged sets, composed through the use of geometry, blocks of colours and negative space and the constant, often ironic, presence of a little detail out of place. Charming and captivating, this photography makes us look beyond the initial appearance of things. Through witty allusions, playful compositions and whimsical props, familiar elements take on different shapes, evolve and engage in a conversation about possibility. Fun, quirky and full of intrigue, Valentina Loffredo’s work is wonderful to study and a great accompaniment to any art book collection. Whatever the season, it is always a good idea to sit back and relax with a cocktail. In our latest Collective Shorts series, graphic designer Nick Barclay has created a stunning anthology of cocktails. This book combines classic recipes with new drink ideas into clear and defined sections. After working on a bar industry magazine and being introduced to the world of cocktails, Nick realised that people love drinking cocktails but not many people know what goes into making them. The design for each cocktail breaks down the ingredients and measures and proportions these out. In this book we see a Nick’s signature style – clean, bold, yet minimal graphical design to showcase the drinks in an alternative and quirky way. The aesthetic for this book is well-designed and the book is the perfect accompaniment for any recipe book collection, art book collection or to have fun with your friends in making some new cocktails. ICE CREAM – According to Østerberg BA S I C R E C I PE S F R O M C OPE N H AG E N B Y CAT H R I N E Ø S T E RB E RG Cold, refreshing and sometimes just a little bit naughty…but we all love ice cream. Whatever the season, it is always a good idea to dive into a scoop of delicious and flavourful treat. Østerberg Ice Cream produces some of the best ice creams and sorbets in Scandinavia. Founder and director of Østerberg Ice Cream, Cathrine Østerberg, wants to bring to life the science, the methods and the creative fun you can have when making this cooling treat. After years of studying the mechanics of creating the best ice cream, Østerberg Ice Cream realised that people love eating ice cream but not many people know what goes into making the different flavours and textures of ice cream. The recipes for the ice cream is clear and easy to follow and provides a combination of understanding how to use a variety of ingredients but also how to have some fun along the way. In this book we see a Østerberg’s signature style – clean, fun and minimal. Based out of Hay-on-Wye, a border town between England and Wales, Finn is an award-winning travel, lifestyle and commercial photographer who excels at capturing diverse cultures and environments. Finn is well-known for shooting those large scale “epic” scenes we know and love but also pairing them with intimate details. This collection is drawn from his now famous “72 hrs in…” series of photo essays; the photographer’s ongoing diary of his journeys around the world and includes breath-taking destinations such as Iceland, Alberta, the wilds of Northern California, Pacific Northwest, Newfoundland and Labrador and more. Photography is the immortalisation of moments that shape lives and alter the Earth and few capture this better than Finn Beales, and it is hard not to be drawn into his images – you can almost taste the salt in the crashing waves, feel the strength of the katabatic squall and sense the danger that comes with being so far off-the-beaten-track. not too much, not too little, just right. B Y TO B Y M I T C H E L L Photographer Toby Mitchell is back with the latest instalment in ‘The Weekender’ series. And this time we are headed to our second Scandinavian destination, Malmö, Sweden. Sitting just over ‘the bridge’ from Copenhagen, Toby explore Sweden’s 3rd largest city showing us the best a weekend trip here has to offer. The book will be an eclectic mix of interesting streets, delicious food joints, eye-catching landmarks and fantastic destination spots Malmö has to offer. Whilst the flow of the book will incorporate the Friday to Sunday trajectory, the mixture of content will mean that a reader is both influenced by Toby’s imagery of the city without explicitly having to follow a specific route but allow them to adventure at will. B Y R O B I N L U CA S This is the second volume from a series of illustrated books, tracing the life and times of a modern gentleman. Edward is a man about town with a penchant for travel, art and food. He is educated, cultured with an eye for beauty and he has a fascination with history and people. These books are a collection of whimsical illustrations of Edward’s adventures as imagined by the illustrator Robin Lucas. Edward’s adventures now take him to Tuscany, Italy. Here we see our Gentleman traveling through the rolling Tuscan countryside experiencing mediaeval hill towns, beautiful landscapes and sumptuous food and Italian lifestyle. The aim of this project is to produce a series of small sketchbooks that give a real flavour of iconic places around the world through the eyes of Edward – our modern gentleman. BY AARON TILLEY In our latest Collective Shorts series, photographer Aaron Tilley explores the notion of narratives and storytelling through carefully constructed and captured still images. Executed in a manner that is playful, yet driven with tension, Tilley’s photography exacts an anticipation of the moment that is about to happen. Momentum is a collection of some of Tilley’s best work to date. His photography continuously captivates the viewer, leading us to something perhaps unexpected, out of context or that may cause us some unease but in a fun and highly-dramatic way. The aesthetic is bold and well-designed with each image portraying a story at a paused point in time allowing the narrative of the image to be interpreted by the viewer. With this, the viewer should enjoy the surreal element to the work and embrace this style presented throughout the book. B Y C H I A R A Z O N CA Capturing an essence of the ancient and surre-al is what drives Chiara Zonca’s photography of other-worldly landscapes. Inspired by dramatic terrain and open spaces, Zonca has a deep con-nection with the sights that she captures. This collection, through warm, pastel tones, has been captured in the Atacama desert of Chile and the Bolivian Altiplano. Those are very extreme and harsh environments with high elevation and lack of water resources. Very few animals and plants are present due to the land’s arid nature and that enhances the overall feeling of being in a deserted expanse with no sights or sounds. The mood of these images is not one by chance; these portray the emotional and psychological journey undertaken by the photographer to find escapism in natural architecture of the land, an element of responding to the sublime in the world around her. With a strong emphasis on form and colour palate, “Desert Portraits”, explores craggy landscapes that, for Zonca, represent a moon-like kingdom on Earth. The images transport a viewer to a world wholly of its own where the isolating nature of the images magnify the sense of nature, different natural materials and escapism. “The Ordinary and The Odd” is the first book from artist and graphic designer, Swen Swensøn. Swensøn’s use of simple and minimilst illustrations, evoking playful and sometimes odd encounters is a pleasure for any viewer of his work. His style is instantly recognisable and each image conjures the imagination to create stories that can be both quirky and also calming. In this book we see Swensøn encapsulate a variety of themes including: urban landscape, nature, transport and engineering and human life. Through subtle and peaceful tones, each image touches on a quiet moment that is perhaps contrasted with a surprising twist or sense of anticipation. Graphic illustration is ever more present in our visual world and media. Characters and scenes depicted are relatable to a wide audience and Swensøn’s work is relates to our lives through recognisable content in his art, requiring us to stay still, consider the scene and reflect. Christopher Gee’s paintings are reminiscent of a collection of old photographs whose original context, their meanings and relationships, have long been lost to the past. Executed in a manner that is both painterly and graphic, his work has a naive simplicity that is both endearing in its directness, and also somehow mysterious and unsettling. The book, “Into the Night”, is a curated collection of some of Gee’s work to date, encompassing the highly acclaimed work from three of his leading exhibitions. An intriguing mix of landscape, portraiture and architectural depictions, all of which inhabit a mystical and yet sincere style adopted by the artist. The book takes you on a visual narrative and act as portable gallery of his work, the three chapters acting as an exhibition that will inspire the imagination and transport the reader to a world wholly individual. Expect forested landscapes, tranquil spaces and curious structures. The colour palette used by Christopher Gee was extremely influential for Paul Helbers, former Head of Menswear and design at Louis Vuitton. Gee’s colours and tones informing the spring /summer menswear collection HELBERS Paris. Frama is known for creating and developing classic and contemporary design. From Furniture, Lighting, Care, Books, Apparel and Kitchens, Frama uses natural materials to produce timeless design pieces, all of which reflect and also redefine the purpose of a space. SHARE – Case Studies by Frama Vol. 01 contains 50 pieces of artwork that explores design from the Frama Studio. Each page presents some of the design house’s finest projects and work through a combination of photographs and illustrations. This edition of SHARE includes designs from across the Frama spheres, demonstrating the key concepts and design pieces found within the Frama spaces. This includes the St. Pauls Apotek in Copenhagen, a studio space in Stockholm and the Frama Studio Apartment in Copenhagen and Oslo. As ever, SHARE remains true to the book’s namesake, with every printed page perforated with the intention to be shared on your own walls or with someone else. This visual and tactile collection of prints highlights the straightforward design and creative fields established and curated from the Frama Studio. Frama, the design studio, has teamed with Our Food Stories to create Dialogues, a celebration of the relationship between people, great design and the food they love. Frama and Our Food Stories have a huge passion for good design and interiors and this, combined with exciting recipes, is the combination for something very special. The book explores three distinct dialogues: how natural and built environments impact on our daily lives; through tasty recipes, the food traditions and culinary rituals that inherently connect us with our lifestyles and past, present and future; and the power of the creative, their voice and how we respond to design. Though a series of case studies, interviews, 19 delicious recipes and curated images, the dialogues of Frama and Our Food Stories take the reader on a journey of concept and design that epitomises the design studio and what they admire and evoke in their creative world. Pacific Northwest Design is paving a new path in the design world with a rich and varied set of designers producing outstanding pieces and trends. IDS Vancouver is the centre-point for all things design in the Pacific Northwest and we are pleased to present their first book. The book explores the design boom in the Pacific Northwest, the fundamental principles to this creative field and over 40 remarkable makers and designers behind this extraordinary area of design. Set against striking photography, highlighting the best of the PNW design, the book also navigates the landscape and settings which inspires this area of design and talks with leading designers in this industry. Currents emcompass Pacific Northwest design from concept to its realised design form and includes Pacific Northwest aesthetics and principles taken from over 40 designers â&#x20AC;&#x201C; explored through captivating photography and narrative stories. Marioly Vazquez’s photography proves that urban structures and daily routine can take on a dreamy, quixotic sentiment with the right contrasts. No matter where in the world she is, she can always find the same welcoming beauty in each town, city or country, in the form of colourful blossoms, buildings and details. Drawing upon colour psychology, Maria’s book Pastel Moods examines how each particular colour tone inspires certain states of mind, and how these reflect how we go about our life. What draws us to the cafes we visit, the buildings we live in? How does colour translate our personality via fashion pieces? How does natures’ own colour palette affect our mood? Focusing on the colours most predominant in her work, each chapter explores a different colour tone, how it is used to speak to our psyche and what it evokes in us. Bathed in pastel hues, this book captures the deeper meaning behind how the colours we are surrounded by impact our mood. Swimming Pool is Mariaâ&#x20AC;&#x2122;s largest and continuing series. Sparked by a hunt for interesting location in Slovakia, her fascination with the space of public swimming pools contributed to developing her visual style. Sterile, geometric beauty of old pools, usually built in the Socialist Era, set the tone for these photographs. There is almost a theatrical quality to the highly controlled sceneries that Maria captures. The figures are mid-movement, but there is no joyful playfulness to them. Frozen in the composition, the swimmers are as smooth and cold as the pools tiles. The colours softly vibrate in a dream-like atmosphere. Despite the retro setting, the pictures somehow evoke a futuristic feeling as well, as if they were taken somewhere completely alien. Despite studying restoration and archeology, Maria Svarbova found a medium for her artistic expression in photography. Since 2010, she has focused on developing her own photographic language, quickly gaining international recognition. Amongst awards, solo and group exhibitions, her work has been featured in Vogue, Guardian, Instagram, Forbes and many other publications. B Y TO B Y M I T C H E L L A weekend venture, in this age of travel, can be one of our greatest commodities. To explore and personally experience new and previously unseen cities and landscapes of this world is becoming all the more possible – particularly as we learn how to make the most of our precious (but limited) time at the weekend... This series from photographer Toby Mitchell will start in the historic UK city of Bath. As Toby’s current city of residence, he knows the greatest features of this UNESCO world heritage city. From the grand Georgian architectural delights, such as the Royal Crescent, delightful hidden streets, to the best spots for coffee in town, the book will demonstrate the spirit of the city through Toby’s enigmatic photography. B Y R O B I N L U CA S This is the first volume from a new series of illustrated books, tracing the life and times of a modern gentleman. Edward is a man about town. He is educated, cultured with an eye for beauty and he has a fascination with history and people. These books are a collection of whimsical illustrations of Edward’s adventures as imagined by the illustrator Robin Lucas. We will start with Edward’s adventures in London. Later in the series we will explore further afield, such as the rolling Tuscan countryside with its mediaeval hill towns, or the delights of India with its rich layers of history and magnificent wildlife. The aim of this project is to produce a series of small sketchbooks that give a real flavor of iconic places around the world through the eyes of Edward – our modern gentleman. The first book written by a new up-and-coming illustrator to the market. Introducing a new character of the modern Englishman to the market, he will appeal to a wide audience and make the perfect gift to a brother, sister, father, mother , son, partner. The intention is that the character will reappear in subsequent volumes and will become collectable. STYLING BY ANNA BJÖRKMAN AND P H O TO S B Y A N N A M A L M B E RG Through a series of starkly contrasting images, interior stylist Anna Björkman and photographer Anna Malmberg have created a melancholic world that celebrates the feeling certain spaces tend to evoke within us. Feelings of Imperfection examines the duality between two worlds: the old and the new, the perfect and imperfect, the present and the past. By applying subtle decorative touches to abandoned buildings, Björkman inspired a new dialogue surrounding their respective histories, the timelessness of which Malmberg captured with intimate photographs that encourage viewers to read between the lines. Malmberg and Björkman hope to elicit an emotional response that will allow you to connect to these Feelings of Imperfection in a personal manner that will further stimulate a conversation between the past and the present. Every wall has its own history, every window a different view – in this book the artists invite you along on their journey to uncover these well-kept secrets and shine a new light on them. P H O TO S B Y M I L L A KO I V I S TO & T E X T S B Y M I I S A M I N K Font and flavour is a celebration of the design and culinary moments that comprise the quintessential Nordic Bakery experience. Born and raised in central London, Nordic Bakery draws its breath from the lush Finnish forest landscape and its quiet strength from the Scandinavian hearth, creating a reliable and stylish refuge for moments of restoration for both the body and the soul. This is a book about those moments and how you can invite them into your own living space as well as throw a measure of Nordic cooking inspiration into your own culinary creation space. Nordic Bakery exists for those who seek out beauty in detail and sustenance found in the Scandinavian palette and timeless contemporary design. It is a beauty reflected in the customers who seek it out for its subdued atmosphere tailored for rebalancing oneâ&#x20AC;&#x2122;s internal equaliser. We invite you to step in, slow down, and discover the moments that make every moment count at Nordic Bakery. BY WERKSEMD The traction stemming from imperatives based in ethics, sustainability, health and resource distribution and has created a so-called Overton window for veganism, i.e. a situation in which a fringe issue is moved into a position where the public is willing to talk about it. Despite the currency of the matter, on a one-to-one level, veganism is still hard to talk about, as it ties in with behavioural patterns founded in identity and tradition, therefore making it a highly emotional subject, as well as a matter of philosophical / existential scope. The book is about creating an inspirational framework for the conversation, where it belongs: around a table. An collection of contemporary works from, by or inspired by the Norse region. This second edition in the SHARE collection possesses all the same attributes of the original – an extraordinary selection of 50 artist’s works printed in two-page format and meant for ripping out, for framing and for sharing. At New Heroes & Pioneers, we are very excited to present SHARE Scandinavia as the followup to the original. SHARE has been met with enthusiasm around the globe for lovers of art and design so SHARE Scandinavia is the next natural step in order to build on the concept. All too often we have connotations of art books being strictly for consumption at the coffee table. The SHARE concept enthusiastically abolishes this with a book that is meant to be held and deconstructed. Each featured artist presents a single piece of work along with a short description or text. The size is optimised and every page is perforated so that you can use the pages as individual works of art. B Y B R I A N F O U H Y – T E M PO R A R I L Y O U T OF S TOC K Brian Fouhy is a visual poet of the modern variety. Working in the medium of Instagram, this American captures words and phrases that are tattooed across the pavement and handwritten on the walls. He then puts them together to create short stories. The result is a visual compilation whose sum is quite different from the individual pieces. Over 30 stories are contained in this edition. In it, you’ll find humour and irony, often found mingling together. What unifies these contrasting images is their humanity, coupled often with a sense of loneliness. Brian’s work demonstrates the similarities between the capturing of a moment through the lens of a camera and through the spilling of ink upon the pavement. Both are feelings stamped in a single moment in time. The images themselves often feature forgotten corners in the urban landscape void of life. Truly a contemporary artist, Brian uses the breadth of modern technology to create a style completely his own. And you, have you ever told a story with pictures? Is there a photo-poet that stirs inside of you? B Y M E R E DI T H A N D R E W S Thousands of Swedish women share the country’s most popular name – Anna Andersson. Besides their name and nationality, do they have anything else in common? In 2014, photographer Meredith Andrews travelled the length of Sweden to find out. From a tattoo artist to a priest, a child to a 99-year old, Meredith found astonishing diversity within this statistically significant group of women who all answer to the same name. Who is Anna Andersson? is a visual account of 50 women who, at least superficially, share the same identity. This collection of intimate portraits reveals what unites and distinguishes people with a common name. The photographs combine personal stories with a captivating glimpse of life in contemporary Sweden and offer a new perspective on a national character. Whether you’re interested in foreign cultures, naming conventions or simply love peering into the lives of complete strangers, this book will fascinate you, no matter how many times you flip through the pages. Mindful Encounters is a thought-provoking collection of travel photography that gives you an extraordinary view of ordinary lives. Instead of relying on sophisticated equipment, photographer Jens Lennartsson uses curiosity, empathy and trust to make meaningful connections and take you off the beaten path with him. The stories he captures are exotic and instantly familiar at the same time. His photography reveals one simple truth: No matter where you are in the world, people are far more alike than we realize. Jensâ&#x20AC;&#x2122; obsessive eye for detail, from a stray dog by the roadside to words written on a t-shirt, adds remarkable depth and significance to each individual story he tells. In Hide in Plain Sight, you will follow up-and-coming Swedish photographer Jens Lennartsson on a journey around the world with images that capture the humanity and local character of every place he visits. Along the way you’ll improve your own photography skills with a selection of 100 tips designed by Jens to enhance your intuition and lend a new perspective on the people and places around you. Jens takes a minimalist approach to getting the best shots. By taking his lead, you will learn to open your eyes, observe, anticipate and work with what is around you. Hide in Plain Sight teaches you to capture a mood, create an atmosphere, play with light and connect with people. You don’t need a better camera, more equipment or expensive software. You only need a fresh approach. 5 HIDE IN PL AIN SIGHT You’re bound to be noticed as soon as you arrive in a new place. But the longer you stay in the same location, the less attention you’ll attract. You become a part of the scene; part of the environment. Everyone will be less aware of you and the fact that you are taking pictures. A month-long trip around Sri Lanka was coming to an end. I stayed at the gigantic colonial Galle Face Hotel in Colombo. A very narrow strip of beach, no more than ten feet wide, stretched for miles alongside the stone wall. During the day it was empty, but when the sun was about to set, thousands of Sri Lankans gathered to play Don’t rush away from a good photo spot. Hang in the waves. I was amazed by the light and the around for a while until you become a fly on the scene and came back evening after evening. wall and it will be easier to capture the scenes I walked around among the families, couples and in front of you. You and the people around you laughing children until the sun was nowhere to will feel increasingly comfortable with each other. be seen. 8 BACKGROUND CHECK There are generally three main layers in every photograph: the foreground, the subject and the background. The latter could make your picture pop or flop. Before you press the shutter, take a moment to think about what the background look like. The camera transforms three-dimensional reality into a two-dimensional picture and if the background is not thought through, it can ruin a great shot. Pay attention to what’s behind your subject. I saw it from far away. The old, two-colored American car and the wall behind with the exact same colors, only inverted. It was so perfect I almost thought the driver had been aware of it and parked his car right there, just waiting for an attentive photographer to walk by. Sometimes the world’s colors come together in amazing ways. Pay attention to color schemes and you’ll be able to get great pictures. New books coming in Spring & Summer 2019 include one new edition of the Share series and Share pocket, a new book by Maria Svarbova, more city guides from the Weekender series, and six brand new Collective Shorts ... among many others. In early 2013, New Heroes & Pioneers publishing house – based in Malmö, Sweden – was little more than the kernel of an idea in our minds. Our plan was to develop and publish a range of coffee table books containing a smart, interesting and eclectic mixture of art, culture and fashion. What made this concept unique was that we were, right from the beginning, dedicated to being a vehicle for discovering and promoting new and unknown artists whose singular styles and perspectives make them stand out. The concepts of ‘making human connections’ and ‘giving back’ were woven into the fabric of the corporate culture and have become a clear and conscious part of every project since the company’s inception.